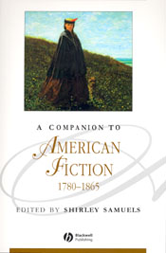 This Companion presents the current state of criticism in the field of American fiction from the earliest declarations of nationhood to secession and civil war. Draws heavily on historical and cultural contexts in its consideration of American fiction. - Relates the fiction of the period to conflicts about territory and sovereignty and to issues of gender, race, ethnicity and identity. - Covers different forms of fiction, including children ;s literature, sketches, polemical pieces, historical romances, Gothic novels and novels of exploration. - Considers both canonical and lesser-known authors, including James Fennimore Cooper, Hannah Foster, Nathaniel Hawthorne, Herman Melville and Harriet Beecher Stowe. - Treats neglected topics, such as the Western novel, science and the novel, and American fiction in languages other than English.